Photovoltaic systems Seattle provide many advantages that you can’t get from the usual grid-powered electricity that runs your home or business. With a PV system, you can personally benefit in many ways, and you make a positive impact on the environment as well. One of the best parts of having a PV system is that it provides free fuel in the form of photons from the sun. That means you have stable energy costs for years into the future. Additionally, you can produce your own fuel locally to power your electric vehicle, which further saves you money on electricity costs. 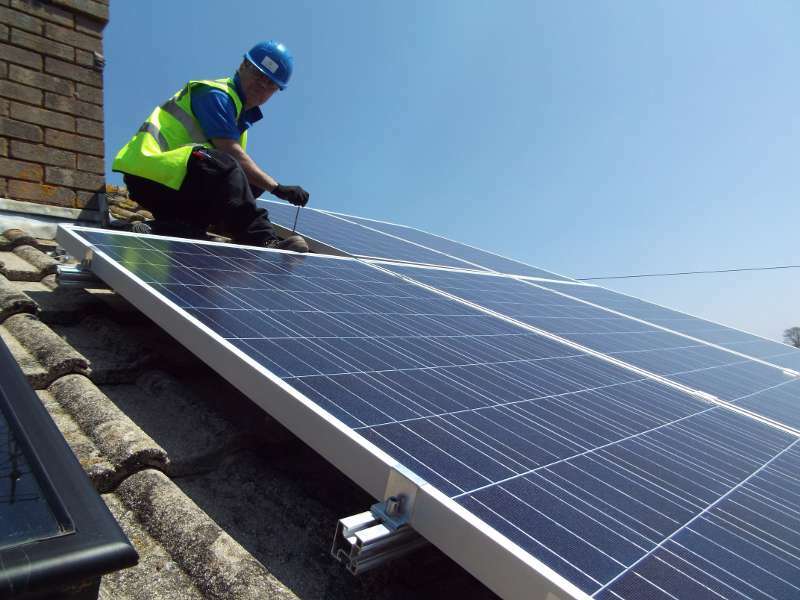 The environment also benefits from your installing a PV system. It results in a 98 percent cut in greenhouse emissions for your property. Furthermore, solar panels don’t leave any waste, unlike fossil fuel-run power plants. The end result is energy independence for you and a healthier environment. But what are PV systems, anyway? A solar electric, or PV, system creates direct current electricity from photovoltaic modules. It then sends that DC electricity to an inverter that then changes it to alternating current, which then runs into your electric panel. When you aren’t using the energy your PV system creates, your electric meter actually moves backwards, which gives you retail credit. You’re providing power back to the grid! Net-metering allows your electricity company to measure what is left of the energy you use minus the amount of electricity your solar system generates. This is the amount you’re charged for on your utility bill. The State of Washington uses a separate production meter that is used to measure all the energy your system creates. You’re paid annually for all the solar energy you create. The amount depends on the type of system you have installed. In addition to the lower costs of solar electric systems today due to improved technology and cheaper production costs, this makes your PV system more cost effective. In Seattle, for every 1,000 watts (1 kW) that your home or business PV system creates, you can generate up to 1,200 kW hours (kWh). An average home in the area uses about 8,600 kWh every year. We offer you a variety of photovoltaic systems Seattle choices based on the lowest up-front cost, the most energy generated per square foot, and the fastest return on investment. Depending on how hard it is to install your system and your particular goals, the cost of an 8.5 kW system can run between $22,000 and $36,000. We also offer 5.5 and 3.5 kW systems that are less expensive.